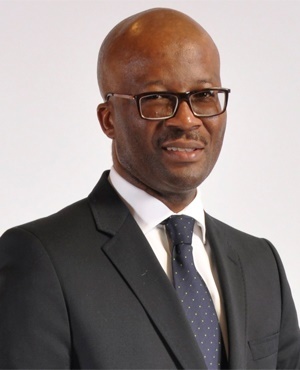 Cape Town - Treasury Director-General Dondo Mogajane was a no-show at a briefing before the standing committee on public accounts on Wednesday. Treasury’s Chief Procurement Officer Willie Mathebula instead appeared before the committee to brief on the deviations by government departments. He apologised for Mogajane who could not attend, but members of Parliament were not having it. MP Mkhuleko Hlengwa called for the meeting to be cancelled, as Mogajane is the accounting officer who should answer to the matter. Hlengwa further called for consequence management. “There must be cost recovery. Mathebula came down from Pretoria for this meeting which we are aborting. And the DG is not here, who was supposed to lead the delegation. We would have been more sympathetic if he had arrived and said he had to go. That would have been more of a courtesy,” he said. MP Mnyamezeli Booi viewed Mogajane’s absence as a “slap in the face”. He asked for Scopa to send a message to Treasury, expressing the committee’s dissatisfaction with Mogajane’s “AWOL behaviour”. He said it was necessary to implement a cost recovery to ensure others do not do the same in future. MP David Ross said “as a committee we are dedicated, determined and committed to stop the fiscal waste". He asked that Treasury’s executives consider Scopa meetings as a matter of priority. Chairperson of the committee Themba Godi called off the meeting. He told Fin24 on the sidelines that he would consider the cost proposal. Treasury is yet to respond to Fin24's request for comment. Mogajane is however believed to be at the Public Financial Management Conference, where he delivered a speech on Wednesday. The conference is being held in Midrand, Gauteng over the next three days. Business Leadership SA spokesperson Thebe Mabanga said in a Facebook post on Wednesday that Mogajane "just told the #PFMconf2018 that in the North West, over the past two years fruitless and wasteful expenditure has risen from R2bn to R14bn". According to the conference programme, Scopa's chair is scheduled to take part in a panel discussion on transformation on Thursday afternoon, the second day of the conference. Scopa said Treasury will be requested to submit a refined report on the matter related to deviations and expansions by Friday, May 18. Treasury is also expected to give a report back on its task team, the quantum of the expansions and deviations and compare deviations and expansions from previous periods to indicate if there has been an improvement.